We own the vineyards. We grow the grapes. But we don’t have a winemaker, we have 100 of them. With Selections by Sagemoor you’ll enjoy exclusive access to Washington’s best wines from storied wineries, and there’s zero commitment to join the list. Opt-in to get our email offerings—we won’t abuse the privilege, and we’ll never share your info. Offers are live for a limited time, available in limited quantity. Keep an eye out. No auto-ships, no commitments. If you don’t love the latest box, a new one will be along soon. A Selections by Sagemoor delivery includes three bottles of Washington wine, tasting and harvest notes for each, and a story card to explain the collection’s unique common thread. I just signed up…now what? Great decision! Now watch your email for Selections by Sagemoor. Our offerings are available in limited quantities, for a limited time. Is this a wine club? Are there fees or minimums? Nope! We are NOT a wine club. We’re an online wine retailer offering some of Columbia Valley’s finest bottlings to a private list of wine enthusiasts. I want to send an offering as a gift. Can you accommodate? Absolutely. Let us know during checkout that this is a gift and we’ll include a gift receipt. Knock yourself out! If it’s in stock, you can order it. What if I receive a corked wine? Should you receive a rare “off” wine, don’t get rid of it (and definitely don’t drink it!). Call us at 509-895-5620 or contact us via the website to discuss options. We guarantee that you will be satisfied with your order or we will exchange your product or refund your purchase within 30 days of your order shipped. Refunds: For refunds or replacement bottles, the return of spoiled or off condition wines is required. Should you be the rare recipient of an off condition wine please do not dispose of the wine, recork it and call us at 509-895-5620 or contact us via the website so that we can arrange for a replacement. 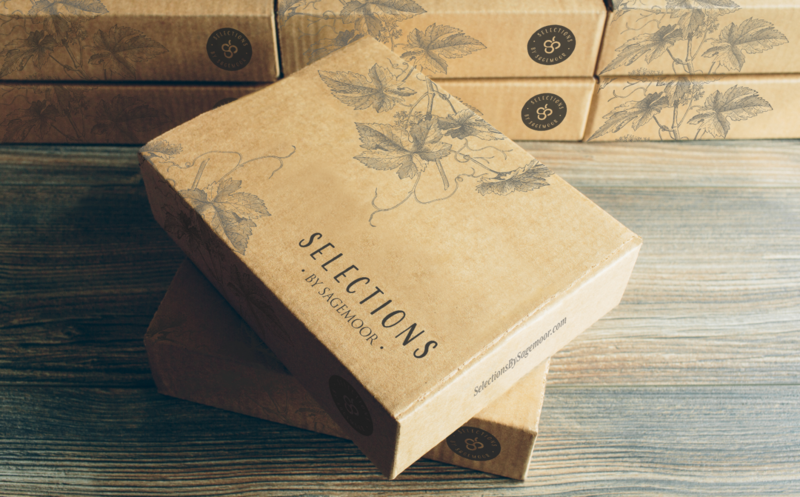 Where can I ship a Selections by Sagemoor box? Currently we ship to WA, ID and OR and are in the process of adding more. Stay tuned! How do I update my contact information (email, address, etc.)? Simply log into your account or contact us and we will get you updated! What is the best way to contact Selections by Sagemoor? You can reach us through our website under Contact Us or by phone 509-895-5620.